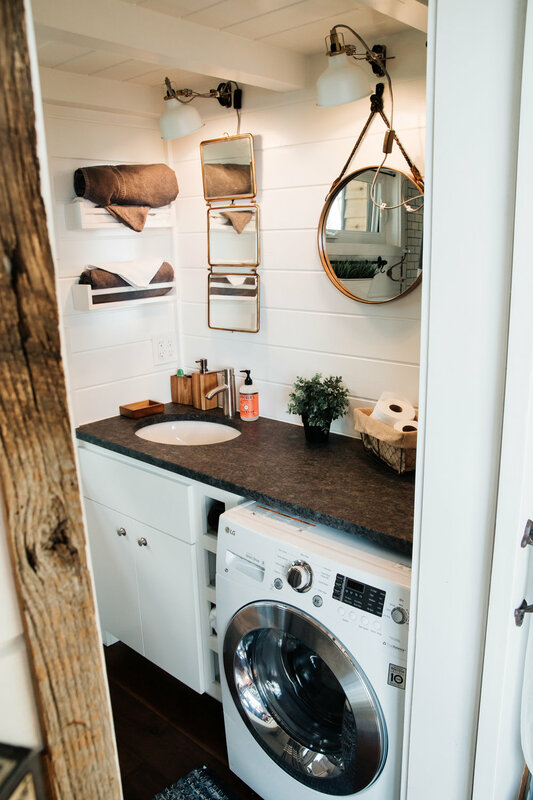 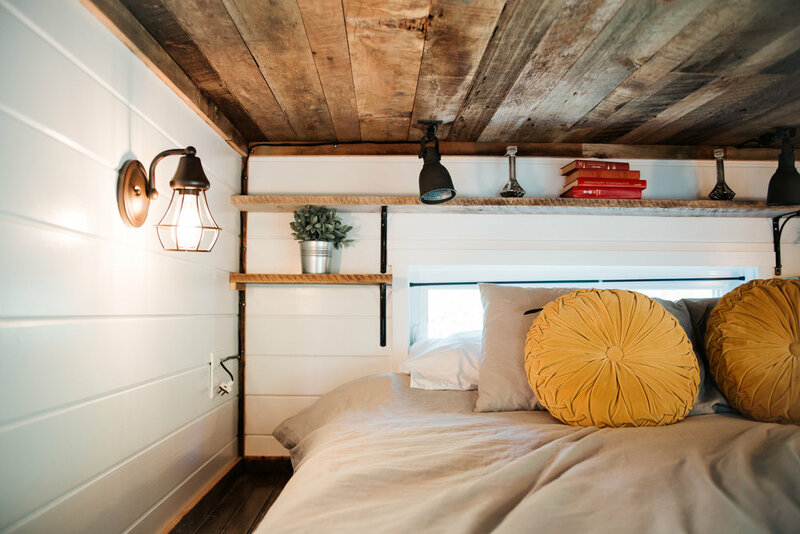 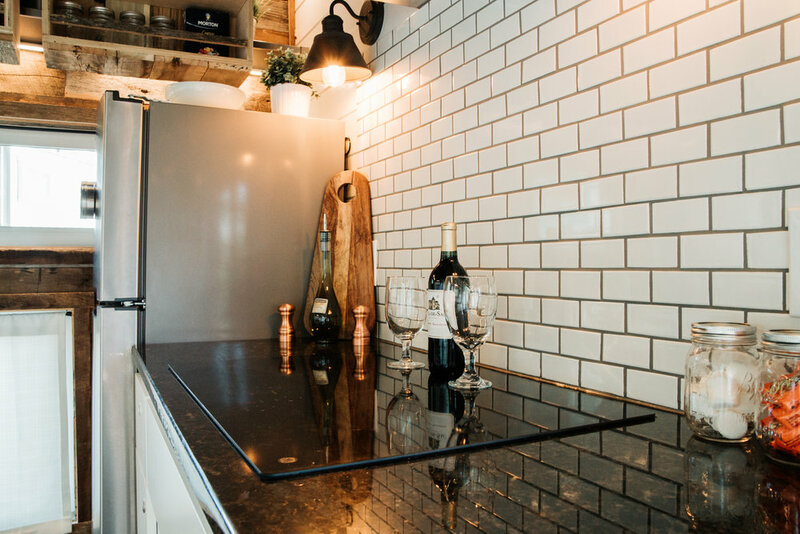 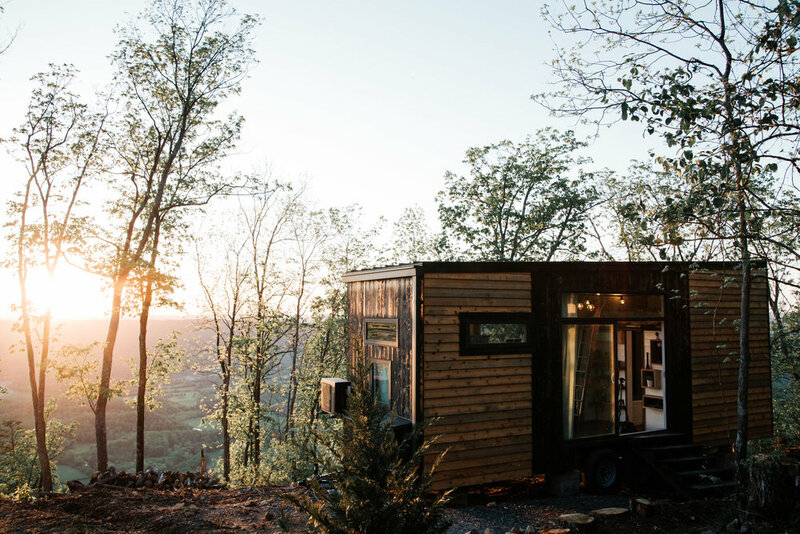 Built and designed by the famous David Latimer from New Frontier Tiny Homes, the Alpha is a beautiful, innovative tiny house that gets her looks from the wonderful contrast of material and style. 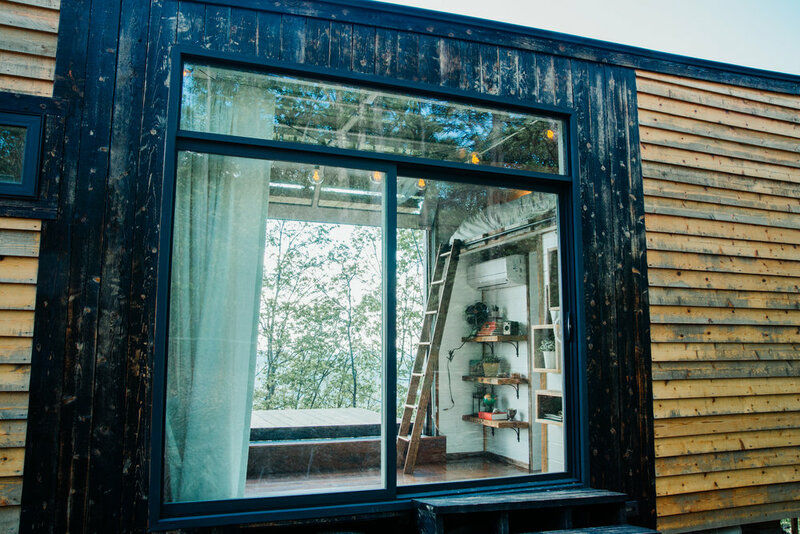 Its modern aesthetic is contrasted with beautiful natural, textured materials: clean modern lines and large glass windows, shou sugi ban cedar siding and mechanical seam metal roof, hardwood floors and reclaimed barnwood ceiling. 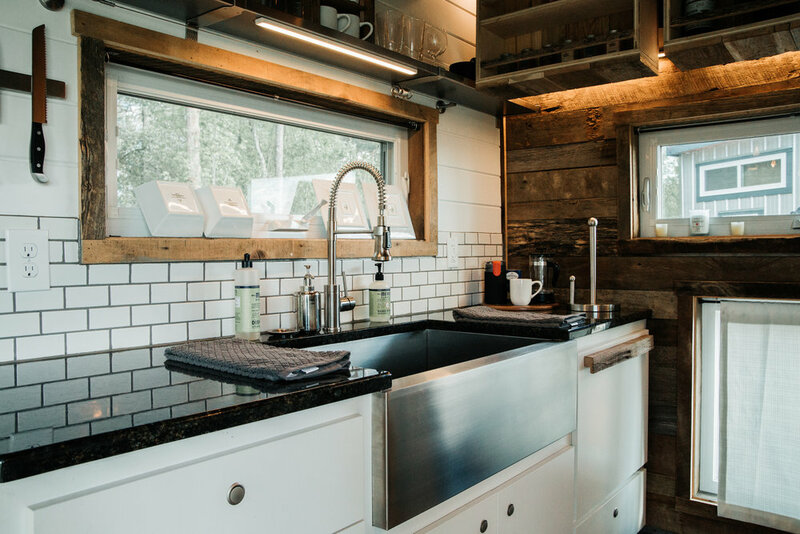 Coupled with closed cell spray foam insulation and Typar rain screen and moisture barrier, you’d be warm and dry at the bottom of the ocean. 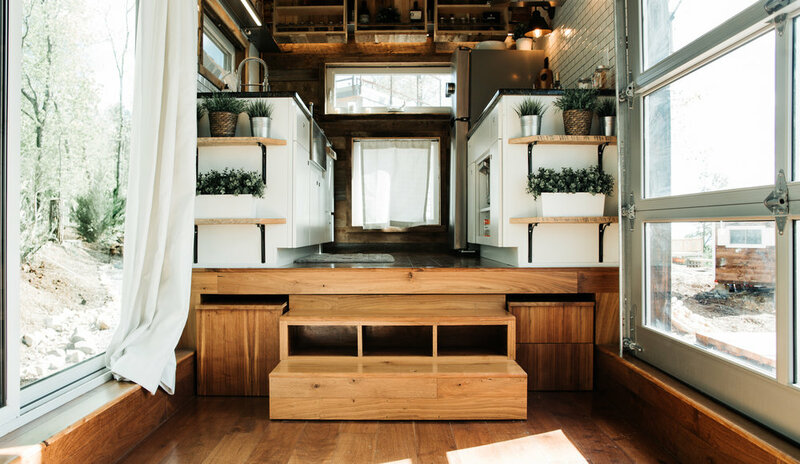 Among the Alpha’s stand out features is a custom fold down deck and awning, tempered glass garage door, and a giant sliding glass door, with a secret hidden cuddle bed under the stairs. 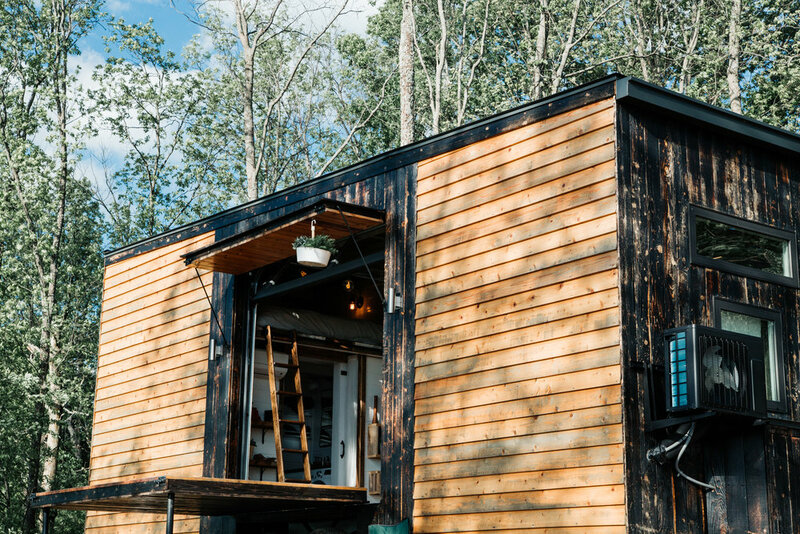 Multi functionality and a maximization of space are the calling cards of this tiny house. 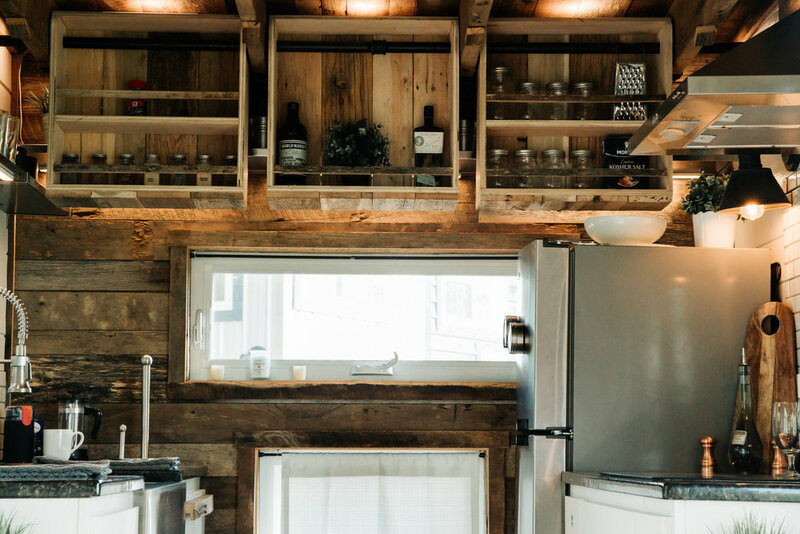 Everything about the design and materials in this home are the highest luxury.